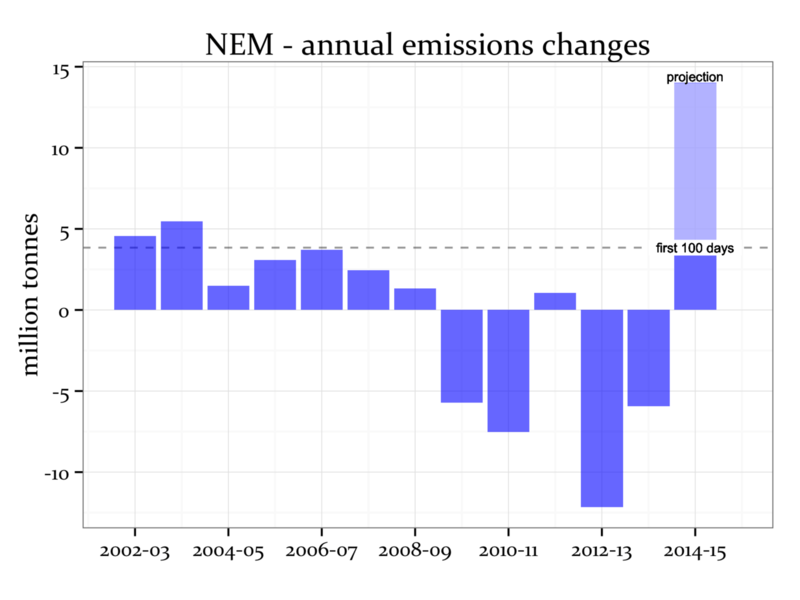 A embarrassing growth in electricity sector emissions has been seen since the repeal of the carbon tax about 100 days ago. This growth has come off the back of serious emissions reduction efforts over the last few years, and is a slap in the face to those advocating for a transition to clean generation technologies. This article was written by Mike Sandiford. The article was found in The Conversation. The article can be found here. The pertinent numbers are shown in the figure below. In the first hundred days since the repeal NEM emissions were up 4 million tonnes on the equivalent period last financial year according to figures from the market operator AEMO. To put it in historical context, this recent increase in emissions is currently tracking at about 250% higher than the previous largest recorded increase. That was back in FY2003-04 when emissions increased by a touch over 5 million tonnes for the year. In effect we will have just about zeroed out the emissions reductions achieved over the last few years, when the emissions intensity of the electricity supply fell from around 0.91 tonnes CO2e for each megawatt hour of electricity produced in FY2011-12 to about 0.84 in FY2013-14. The reason is straight forward. 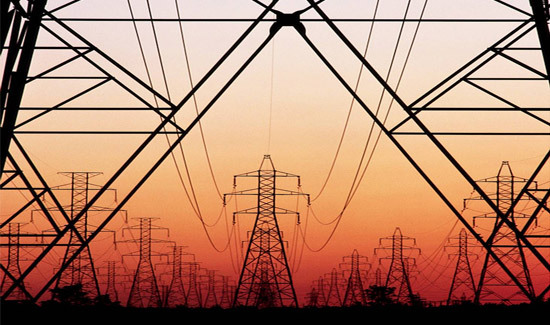 During the years of carbon pricing, hydro was being dispatched at unsustainable levels. Since repeal the reduction in hydro output has been substantially picked up by brown coal generators in Victoria, as explained in my last post. Next Next post: Election Watch: Will Labor lead on renewables?